Title: Fishbone - "Every Day Sunshine"
Description: the 14 legged skafunkpunksex machine showed us again that they are the greatest live band in the world ! Description: You walk for a week with the funk in your feet after a Fishbone show. Check out Walter getting his groove on. 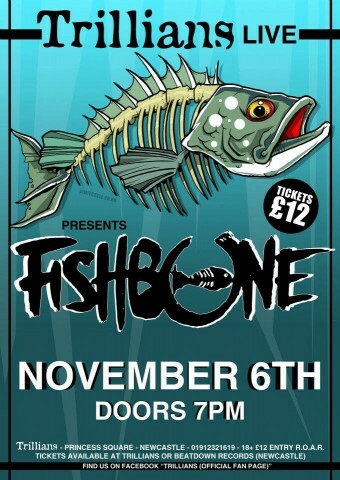 Fishbone is not scheduled to play Trillians anytime soon.